digital input and 2 relay outputs 16 A @ 250 Vac/8A @ 250 Vac. 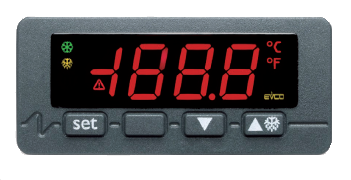 Configurable digital timer with two digital outputs (relay) and 9 modes. Time range from 0.1 sec. up to 99 hours 59 minutes, 230Vac, single-color LED display, beep.